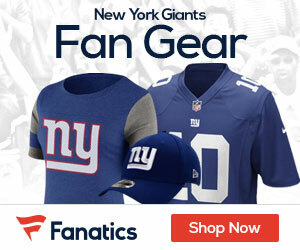 « Giants Free Agents – Who’s Unsigned, Who’s Leaving? At the outset of this wild and crazy free agency period, John Mara proclaimed that “the offense is broken” for the NY Giants. And much of that had to do with poor offensive line play. Well the Giants have signed a few linemen to take care of that problem. The Giants have a new RB in Rashad Jennings, two good fullbacks to block for him. We have Mario Manningham rejoining the team – who is excited to be back in blue competing for a starting job. So what’s missing? That’s right, the other critical piece of the puzzle that the Giants didn’t realize they were sorely missing until they were closing in on their 6th consecutive loss in Chicago last season – a game changing Tight End. Enter Eric Ebron, who could very well be the next franchise TE for the NY Giants. He’s the top TE prospect, a fast, freak athlete that can be a solid red zone target, and stretch the defense over the middle of the field with his size and speed. Not known for his blocking – but in a new Giants offense we don’t know exactly what will be asked of the TE this year. Heck, even last year we had a TE that we knew ahead of time couldn’t run block, but it turns out he also couldn’t run a route or catch either. We know Ebron can do both… and potentially be that game changing TE for us for years to come. He’s a Newark, New Jersey guy – and grew up a Giants fan as well. Best case scenario – he could become the next Vernon Davis for us. This isn’t taking a flyer on the JPP of tight ends gang – this is the best TE in the draft and we’re in great position to get him. All our holes have been filled in free agency, Jerry Reese hit this one out of the park. Time to get our TE for Ben McAdoo. Whether to do so in the remaining stages of FA or the Draft, the Giants must continue to strengthen the quality and depth of the offensive line and they must take a close look at the depth on the defensive line since losing 2 starters during FA. Yes, TE is a need, I contend the OLine and DLine remain areas of need as well.